Dentures are not really a replacement for teeth, but rather they are an alternative to having no teeth at all. Dentures do a good job of affordably providing the appearance of teeth as well as facial support versus no teeth. 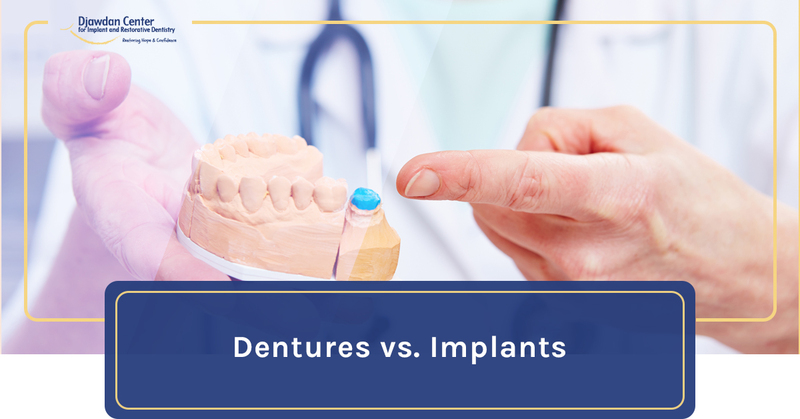 Dentures do a good job of affordably providing the appearance of teeth as well as facial support versus no teeth at all. Dentures are made of acrylic, which is a relatively soft material, and prone to staining, odor, wear and breakage. Dentures provide the appearance of having teeth but do not replace the function of natural teeth. 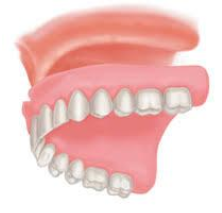 Dentures are not anchored and therefore have movement or slippage when you try to chew with them. This movement reduces natural chewing power by 75%.  Dentures rely on surface area for retention and therefore cover a lot of soft tissue and taste buds. Denture wearers will lose their sense of taste. Studies show that because of this loss of chewing power and sense of taste that denture wearers shift their diets to softer foods, which tend to be processed foods and over season (salt) their food. This shift results in denture wearers being at high risk for high blood pressure and diabetes. We have two kinds of bone in the jaw. This first kind is alveolar bone, which is the bone around teeth.  The other is jawbone. 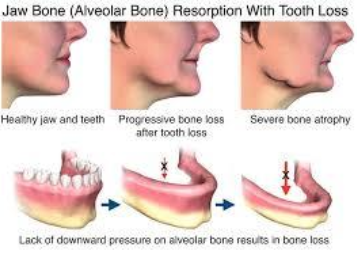 When we lose teeth with loose the alveolar bone that was around the tooth. Dental implants help preserve the jaw bone by providing the stimulation previously provided by the natural tooth roots. Conversely, dentures wear experience accelerated loss of jaw bone, because there is no stimulation of the jawbone and dentures place pressure on the soft tissue that interferes with blood flow. Dentures may seem like the more affordable option at first, but once you consider the cost of losing your ability to eat what you want, taste your food, and the irreversible loss of jaw bone, you will see that dentures have a significant cost to your overall health and well-being. Whereas dental implants are an investment in your ability to eat what you want instead of whatever you can, taste and enjoy your food, preserve your jawbone, and maintain good physical and mental health. Your smile and self-confidence are valuable assets. But as you age, they can become severely compromised by tooth decay, tooth loss, and health and psychological problems that are often accompanied by major dental issues. A Prettau zirconia dental implant bridge is a permanent solution to ailing, failing, and missing teeth. The investment is similar to purchasing a low- to mid-price car. The difference is that unlike a car that begins losing its value the moment you drive off the lot, the Prettau zirconia dental implant bridge is designed to last a lifetime and continues to improve the quality of your life.